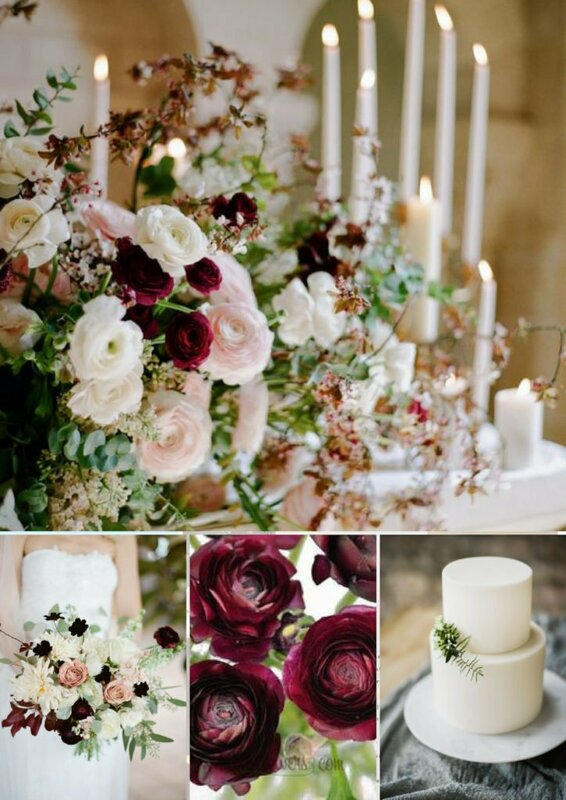 Today’s wedding inspiration board is all about the elegant and dramatic nature of the color burgundy. This timeless and rich colour works perfectly for any wedding but especially for those set in the greens of an outdoor wedding. For me this is the perfect colour scheme for a modern sophisticated Ibiza wedding. 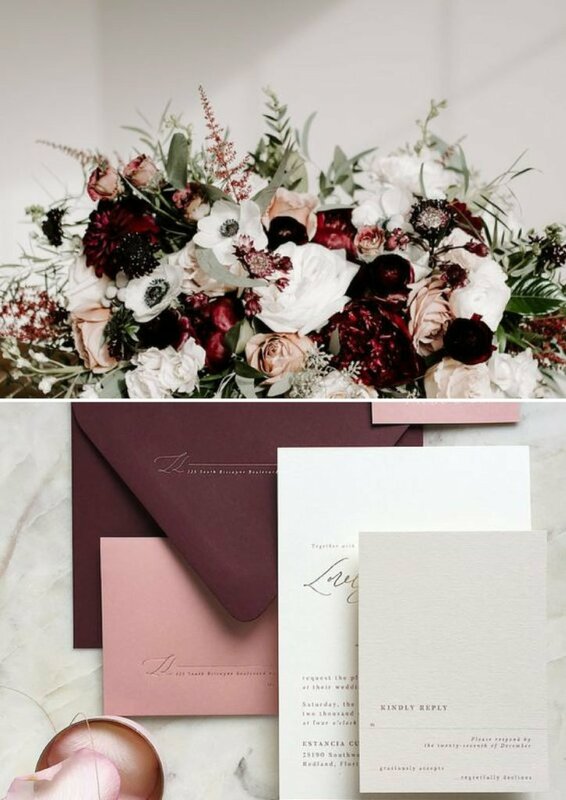 Try pairing burgundy with white, grey and blush to create a dream wedding. Burgundy and white are an elegant, contemporary combination. Flowers are a wonderful way to add your chosen colour and there are so many beautiful seasonal choices in burgundy. Ask your florist for suggestions to suit your style of wedding. 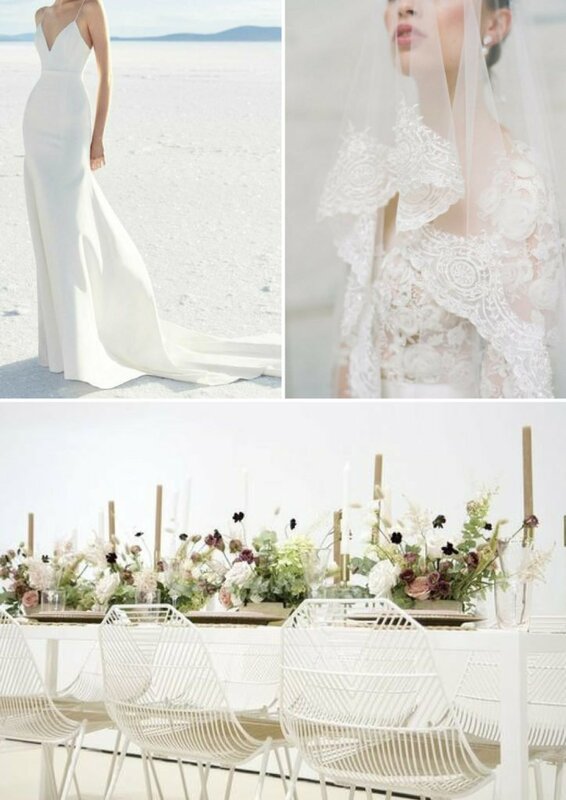 If you would like to chat about styling your wedding or inquire about my wedding planning services please contact me on info@serafinaweddings.com.